Afternoon all! Have a question pertaining to changing the tires on a Trike Kit. I have the Trigg Kit if that makes a difference from others. I was able to finally figure out how to get the center plastic hubs off to locate the lug nuts, but my question now is, how do I go about lifting the trike kit to change out a tire should I ever get a flat? At this moment I am pretty sure I am SOL with lacking knowledge. LOL. Not sure if I'm to lift on the trike tire bars, suspend the center tire, or what is the best possible method, without damage to the trike frame. I have never given it one iota of a thought until today. Any suggestions would be greatly appreciated. ItBeMe, thanks for your previous reply in the other forum area. I'll get the hang of it soon. Jack---carry it with you. Lug wrench for rears. This is pretty much a given. I have various jacks on hand, but, with only a 5" ground clearance to the undercarriage of the Trike frame, looks like I am going to need to invest in a more thinner / sleeker jack to accommodate such low clearance. Maybe others, with Trikes, can share their tire changing experiences, if any. I just wasn't sure if there were certain precautions to avoid in changing tires on the Trike Kits. Such as what could bend, throw it out of alignment, etc. First time trike owner here, so any and / or all suggestions are appreciated. guess you better keep an eye on the "driving" tire and its pressure/condtion. by the way if there are 4 tires in contact with the ground why call it a trike? A true trike only has 3 tires and the tire pressure is very impotent on a trike. Yes sir, that's one thing I'm always conscious of is the air pressure in all the tires, especially the drive tire. This isn't my fist go round with owning a motorcycle, of any sort. Been a few years though. Now, as to your 4 wheel question........I'm not sure what the "proper" name is. I guess to be politically correct, it is a SW with a Trike Conversion Kit! YES? I tell people this is "my poor man's trike" . Figure if I like this little one, I may think of stepping up into the GW Trike at a later date. I call them training wheels. I say, "call it what you will, I'm out there having fun"! So a four wheel trike. Interesting concept and I expect much easier to put together and back to standard. Is the weight taken by the outrigger wheels or the central wheel? And how much hassle is it to change the central tyre? Although I expect you will be running a car tyre on it so, punctures excepted, I imagine that will be a rare occurance. I can appreciate your concerns though. If the central wheel takes the weight and the outriggers just act as stabilisers jacking up might stress them as they will lifting the entire bike (and our sw's are fat old buggers). Yes, only 4 bolts attach the Trike Kit. Looks to be easy on, easy off. It would safe to presume the weight is evenly distributed across the back tires with the kit installed. The Central tire appears to be a bit of a bear to change, if needed, with the trike kit attached. The trike kit ( imo ) would definitely have to be removed to change the central tire. My concern / question exactly. Hoping maybe another has a "trike conversion kit" and has had the daunting task of replacing a rear Outrigger Tire, and can shed some light / share their experience. The rear wheel of a solo SilverWing is also no fun to change. Just carry a spare exhaust gasket. How does a spare exhaust gasket help changing a rear wheel. Pud. Vmaximus, in order to get the rear wheel off you have to remove the exhaust as well. I fully understand that and after removing the rear wheel on my own scooters ( 125 majesty, Sym 400i, and S/Wing) several times I still fail to see where carrying a spare exhaust gasket helps changing the rear wheel. Its the silencer that has to be removed and its the silencer to exhaust gasket that can get damaged but if you are careful you can get it off without damage and a replacement or temp repair can be made from wire wool and high temp silicone. The silencer can be removed very quickly its the other pieces of equipment, Brake caliper, brake pipe clamps. rear suspension, centre nut and swing arm that takes the time. Once these are removed the rear wheel comes out quite easily, nothing to do with a spare exhaust gasket. Pud. I disagree on spare exhaust gasket----ride a lot, change tires a lot, nice to have available, in US dealers do not stock it. Once had one fail on Helix, 1000 mile trip home=lots of noise. Roadside repair, nice to have proper part there, just on case. Since it is such a hassle to remove rear wheel---best put muffler back on the correct way....so you do not have to do it again when you order/get proper part. 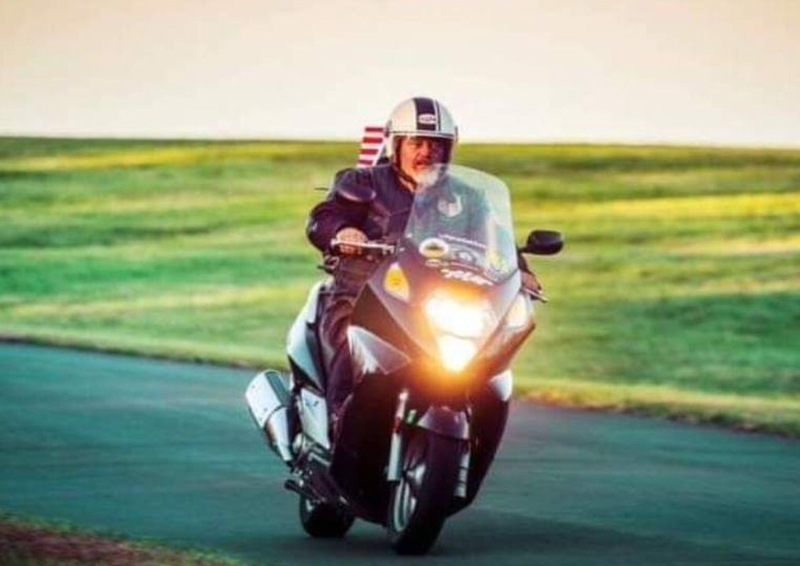 I speak from about 400,000 maxi scooter miles, 9 new ones----only current scooter I know rear wheel comes off no hassle=BMW, one sided swing arm. In the eight years that I owned a Helix it used to blow it's exhaust gasket fairly frequently, and was the only nigglling fault the Helix had. It had nothing to do with the exhaust/silencer being removed for tyre changes, it just happened with normal riding. The resulting extra noise and popping and banging were the sure signs it had blown and would need replacing again. As for doing the job roadside somewhere, it was easier to put up with it and replace the gasket at home. I've even requested tame spanner mechanics a fit a new replacement gasket I'd supplied whenever I had a new rear tyre fitted, as the gaskets were cheap enough to buy. vmaximus, I stand corrected! I referred to it as an Exhaust Gasket, when in fact it is not. Looking in the parts catalog, it lists as Muffler ( aka Silencer ) Gasket.....not the Exhaust gasket, just as you have noted. I, too, cannot understand why you would need to change the "Exhaust Gasket" when changing a rear tire. Me, speaking of exhaust gasket, packing as Japanese called it---at the joint of muffler and exhaust pipe, not at the head. Once again just nice to have spare. Once again just nice to have spare. John, you make a great point as to having / keeping spares on hand. Your statement of the US Dealers not having parts in stock holds very true, at least in my geographic area it does. As I, on different occasions, have tried ordering, only to find out "not in stock" and usually waiting nearly a week for parts. Great suggestion! Duly Noted! Exhaust gasket? Never bothered myself, but I'm an idle sod and scootie don't seem to mind. Actually I didn't realise it had one! Does it make it go faster??? » Hi Lift jack for UTV.